What do female cheeks look like? 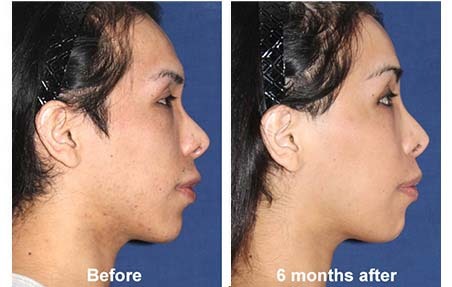 Female cheeks tend to be more prominent and clearly-defined than those of men. They also cover a proportionally larger area of the face. 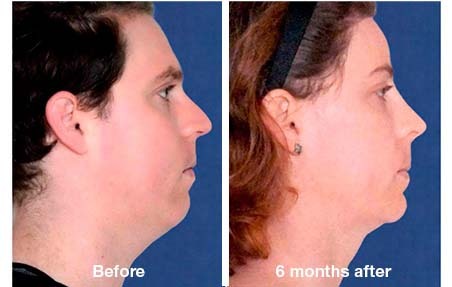 How are male cheeks feminized? 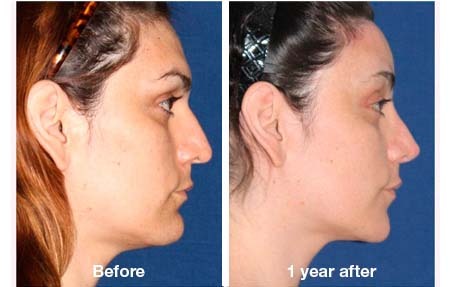 Nowadays there is a wide variety of synthetic permanent implants that can be used to increase the size of the cheeks. The most frequently used are the implants made of flexible solid silicone and those made of porous polyethylene (Medpor). To place them, the surgeon makes an incision for each implant. These incisions can be made along the upper gums or along the lower eyelids edges, just below the eyelashes. A pocket behind the muscles of each cheek is then created. All the implants can be sculpted at the time of the surgery to better adjust them to the needs of each patient. During the first days, you will have to sleep with your head elevated to aid the healing process. 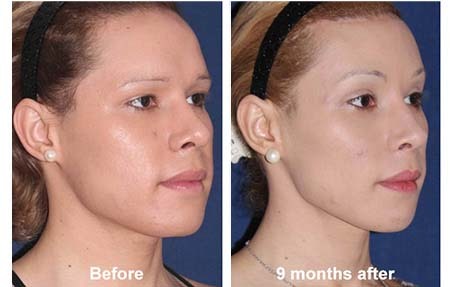 You will be able to use make up a day after the surgery. The swelling may last one or two weeks. Bruises are very infrequent. Cold compresses are very useful during the first days. 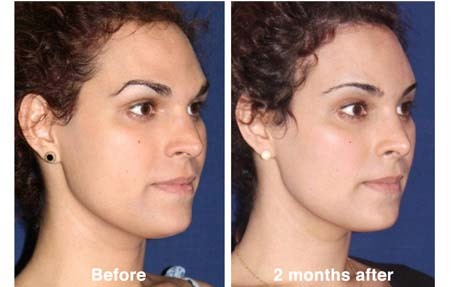 Your cheeks will look completely normal after one or two weeks, but the definitive results will be reached after 2 or 3 months. The resulting scars on the gums will be completely concealed inside the mouth. In case they were made along the eyelids instead, they should become imperceptible after a few months. It’s very important to keep the wounds clean until they are completely healed. 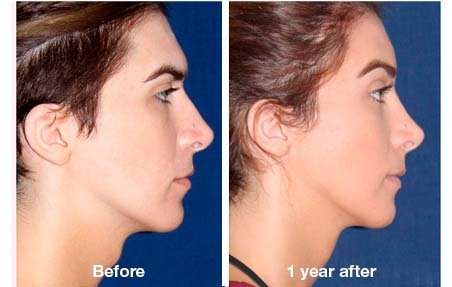 It is very unlikely for cheek surgery to present any complications when performed by a qualified surgeon. However, every surgery, no matter how simple it may be, has certain risks that we should not rule out. Asymmetry. Even though the surgeon marks the areas he will operate on very carefully, there may be asymmetries. Ectropion: the lower eyelid turns outwards revealing the underlying tissue. 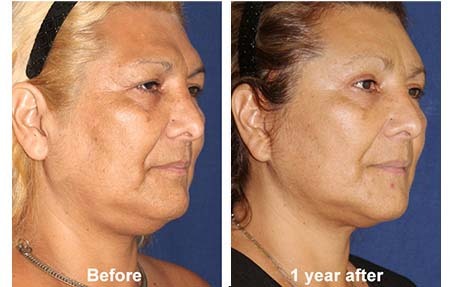 This can only happen if the implant is placed through the eyelid. It can be temporary or permanent. If it’s permanent, eyelid surgery will be needed to correct it.